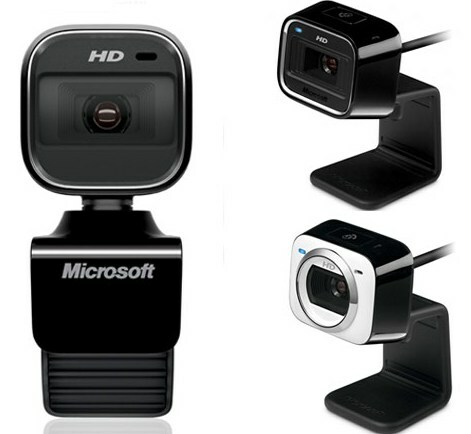 Microsoft has announced the launch of its three new webcams – Microsoft LifeCam HD-5000, LifeCam HD-5001 and LifeCam HD-6000 for notebooks, which feature a 720p HD sensors, Auto Focus technology, and TrueColor image processing technology that automatically adjusts the image quality to deliver a more colorful, brighter video in even the worst lighting conditions. According to Microsoft, LifeCam HD-5001 includes all the same features as LifeCam HD-5000, but sports a custom design with a white faceplate. The new Microsoft LifeCam HD-5000 and LifeCam HD-5001 will be available later this month for around $50, while Microsoft LifeCam HD-6000 for Notebooks is scheduled to hit the market in May 2010 for about $60. Watch the promo video of new Microsoft LifeCam with groundbreaking TrueColor technology below.